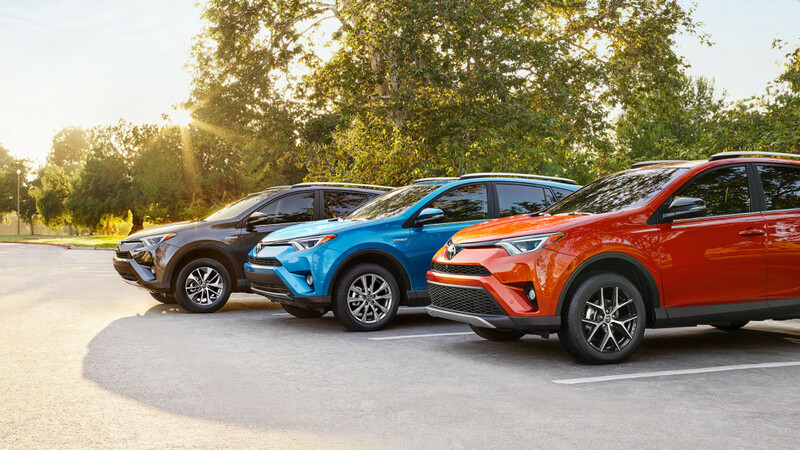 Toyota practically ushered in the modern hybrid era with the Prius line, and now they’re offering Culver City and Santa Ana drivers the chance to pick up a 2017 RAV4 Hybrid. With all-wheel drive (AWD) fitted as standard, the RAV4 Hybrid is an able off-road warrior, but brains beneath the brawn ensure stunning mileage ratings. Here’s everything you need to know. XLE Hybrid: Starting at an MSRP of $29,030, the XLE Hybrid brings a strong selection of standard features to the table, including AWD with intelligence (AWD-i) and an integrated backup camera. Limited Hybrid: Starting at an MSRP of $34,030, the Limited Hybrid offers a Blind Spot Monitor with Rear Cross-Traffic Alert system and the Entune App Suite, which offers on-the-go access to popular apps such as OpenTable, Pandora, iHeartRadio, and MovieTickets.com. Lay to rest any fears that the 2017 Toyota RAV4 will be unable to harness the same kind of exhilarating power you’d normally expect from a gas-powered vehicle. The combination of gas engine, electric motor, and hybrid battery delivers up to 194-hp, ensuring outstanding acceleration and strong, confident cruising. You’ll even be able to take advantage of Electronic On-Demand All-Wheel Drive with intelligence (AWD-i), which instantly provides torque to the rear wheels whenever you need more grip. This is a state of the art hybrid that’s more than ready to head out into the backcountry. Of course, efficiency will be the real draw. 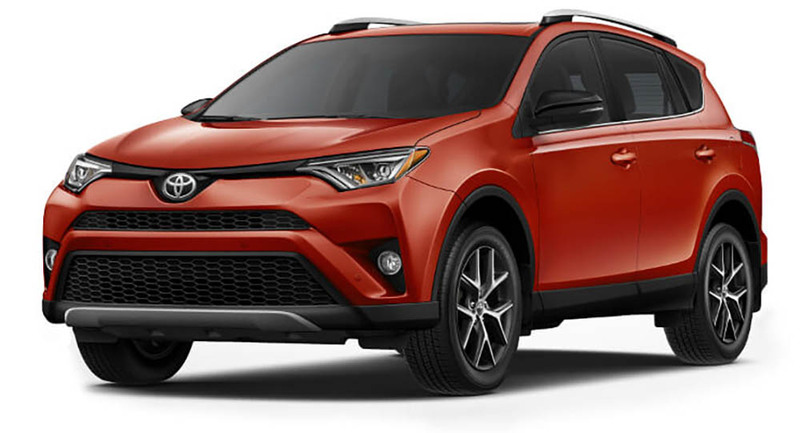 Thanks to Toyota’s tireless engineering efforts, the RAV4 Hybrid is able to achieve up to a phenomenal 34 mpg in the city and 30 mpg on the highway. 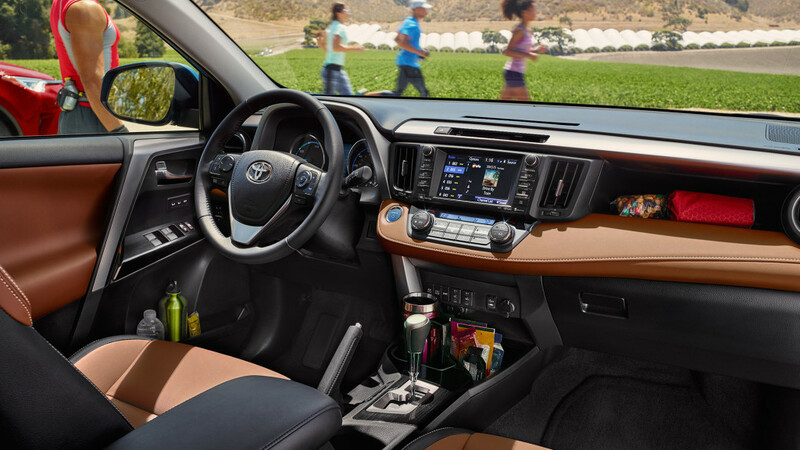 With available touches such as a leather-wrapped steering wheel and multi-stage heated SofTex-trimmed front seats, the 2017 Toyota RAV4 Hybrid can be your own personal escape from the hustle and bustle of the outside world. Advanced sound reduction technologies have been used to reduce the intrusion of engine noise, and even the cup holders have been restyled to let you take any kind of mug along for the ride. 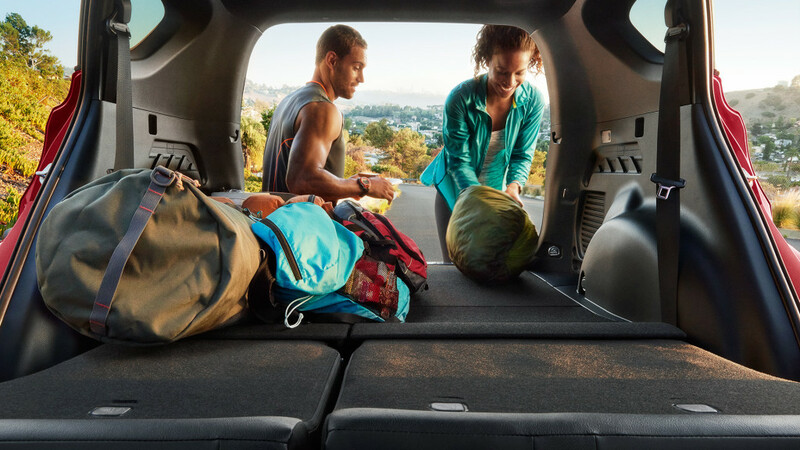 Toyota then paired comfort with practicality by fitting 60/40 split seats, which let you extend a healthy 35.6 cubic feet of cargo space right up to 73.4 cubic feet. Bird’s Eye View Camera: 360-degree views of your surroundings are providing on the vehicle’s touchscreen, with a Perimeter Scan feature to show live, rotating images while you’re parked. Hands-Free, Foot-Activated Power Liftgate: Need the liftgate open while your hands are full? Simply pass your foot underneath the rear bumper. Pre-Collision System with Pedestrian Detection (PCS w/PD): Scans the area ahead of your vehicle to check for possible collisions with both passengers and other cars. If danger is sensed, an alert will be provided. Lane Departure Alert with Steering Assist (LDA w/SA): Provides a warning if you begin to deviate from your chosen lane without signaling; should you fail to alter your course, corrective steering pressure will re-center you. Automatic High Beams (AHB): Your high beams will automatically be turned on and off as other cars approach and pass you during nighttime drives. 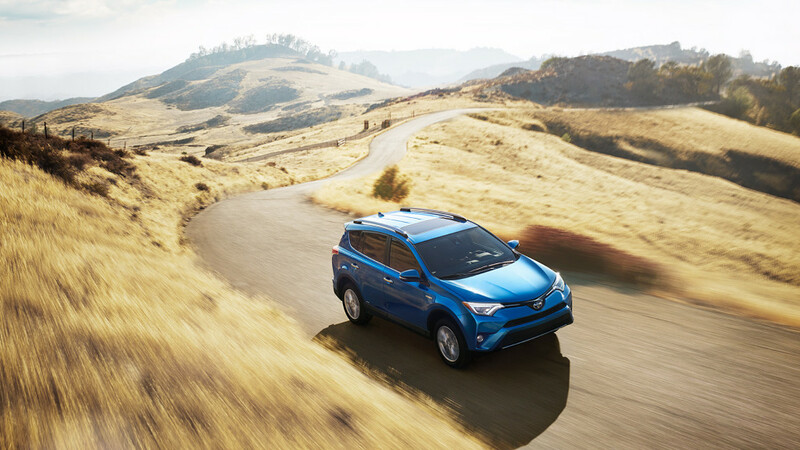 Dynamic Radar Cruise Control (DRCC): Keeps to your preset cruising speed while also speeding up or slowing down to keep a safe gap between your RAV4 Hybrid and the vehicle ahead. 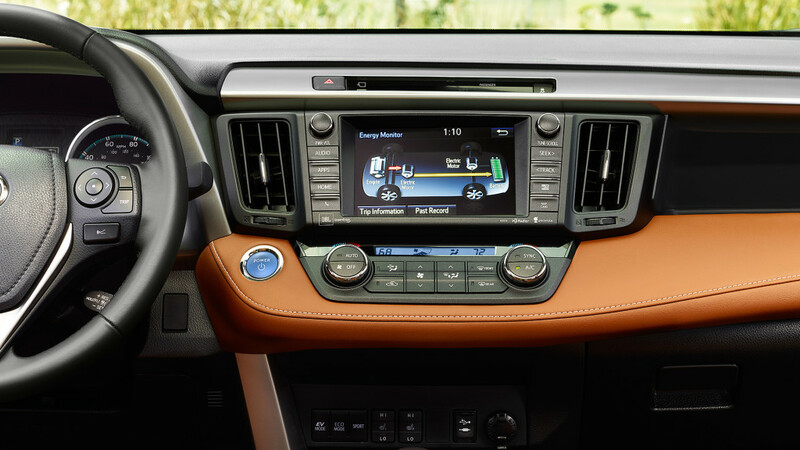 The RAV4 Hybrid has conquered any notions that a hybrid model wouldn’t be able to hack it in terms of performance and capability. If you’d like to find out more or arrange a test drive, just pay a visit to the showroom here at Marina Del Rey Toyota today.